Chutzpah Too is a 34’ Phoenix, equipped with a conventional assortment of charter electronics, including GPS, fish finder, stereo and UHF-VHF radio. As for on-board facilities, the boat features a cabin with restroom, bedroom and a fly bridge. 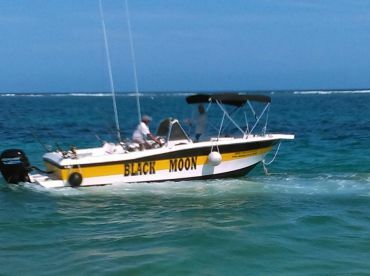 There are 2 fishing chairs on board, along with 6 fishing rods (Shimano-Penn), Penn International and Senator reels, as well as downriggers and outriggers. 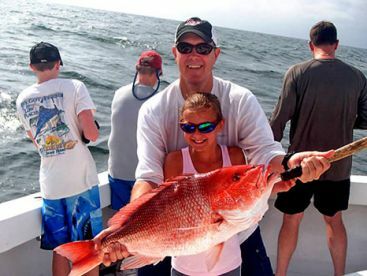 The boat can accommodate parties of up to 8 anglers per trip. All trips include bottled water and beer, as well as a cooler with ice. 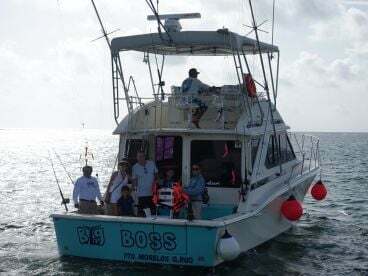 Founded in 1996, Fishing Charters Cancun is a fishing guide service that keeps growing in size to this very day, with the fleet’s seasoned crews now having more than 60 years of shared experience among themselves. 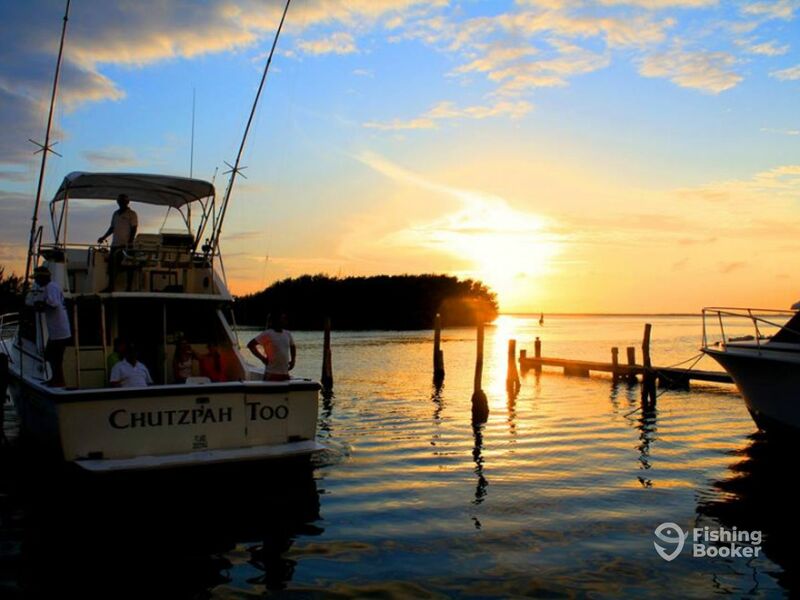 The Chutzpah Too team speaks both English and Spanish, and is there to assist you with anything you need. 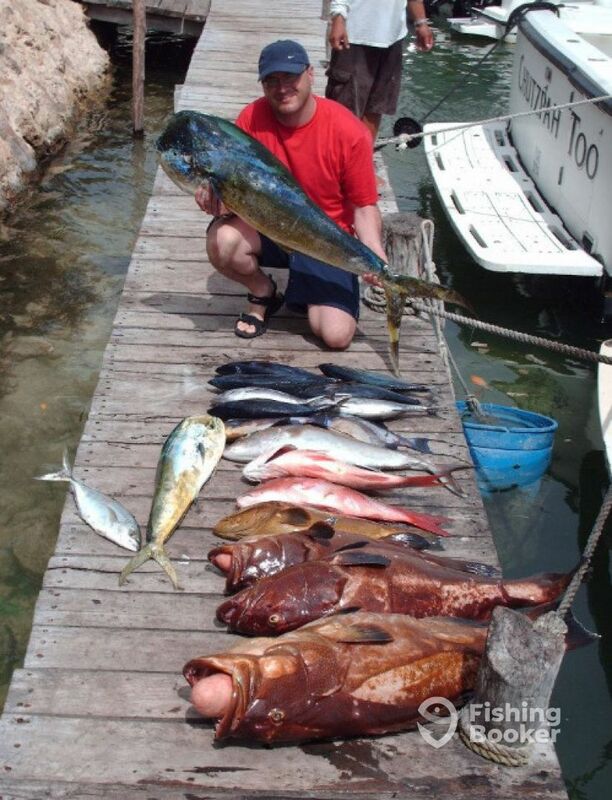 Cancun is situated on Mexico’s Caribbean Coast, providing some of the shortest times to the various fishing spots lurking beyond the Continental Shelf. 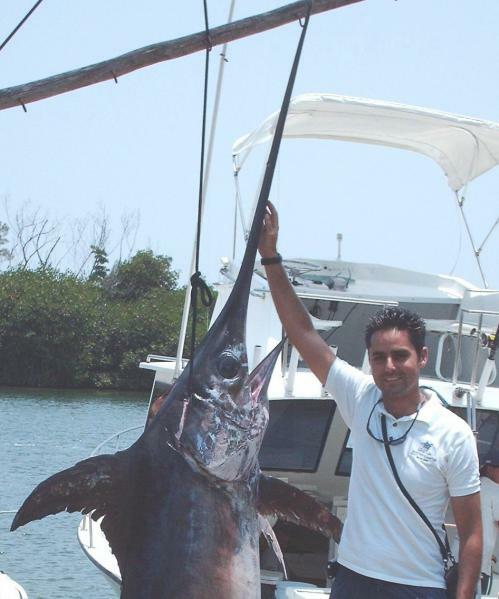 The waters of Riviera Maya have proven themselves productive for a large variety of deep sea species, including Billfish, Tuna, Mahi Mahi, Wahoo, and many more. 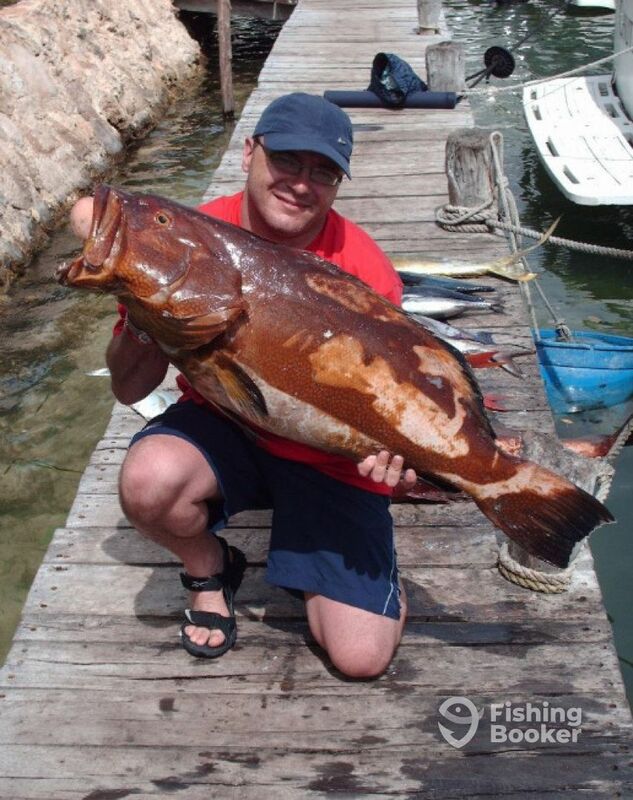 Fishing Charters Cancun cater to all anglers, regardless of their skill level. 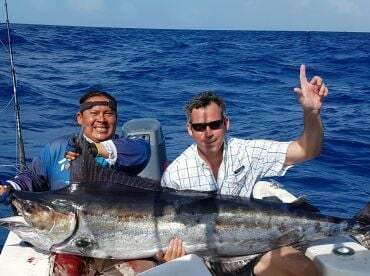 Beginners or pros, singles or couples, families or companies, the Chutzpah team always do their best to ensure you have an unforgettable fishing trip. *Please note that there is an additional $10 per-person dock fee. 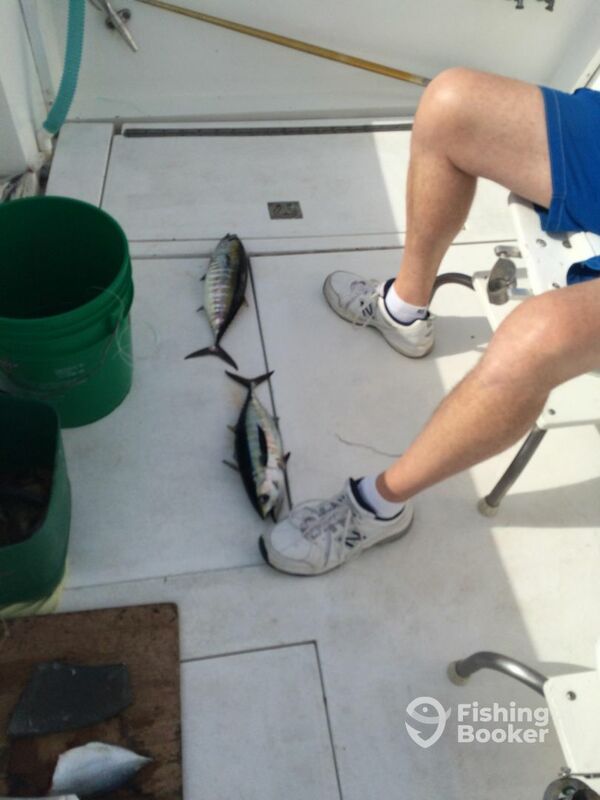 You'll have the best chance to fish for everything that's in season. 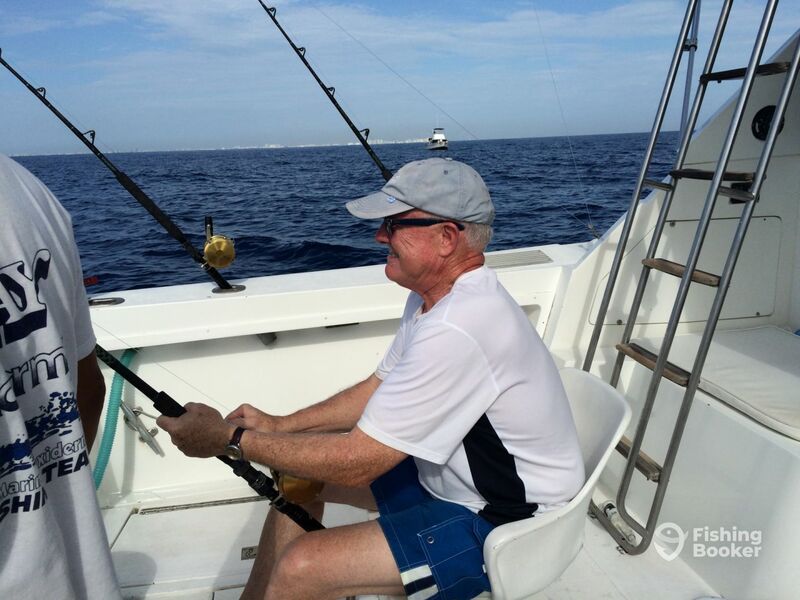 Trolling for Sailfish and Marlin are a real possibility on a Full Day trip. 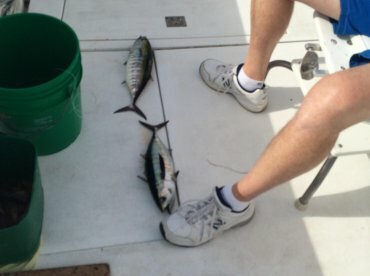 You can also go bottom fishing if you don't mind what you catch, but just want to catch as much fish as possible. 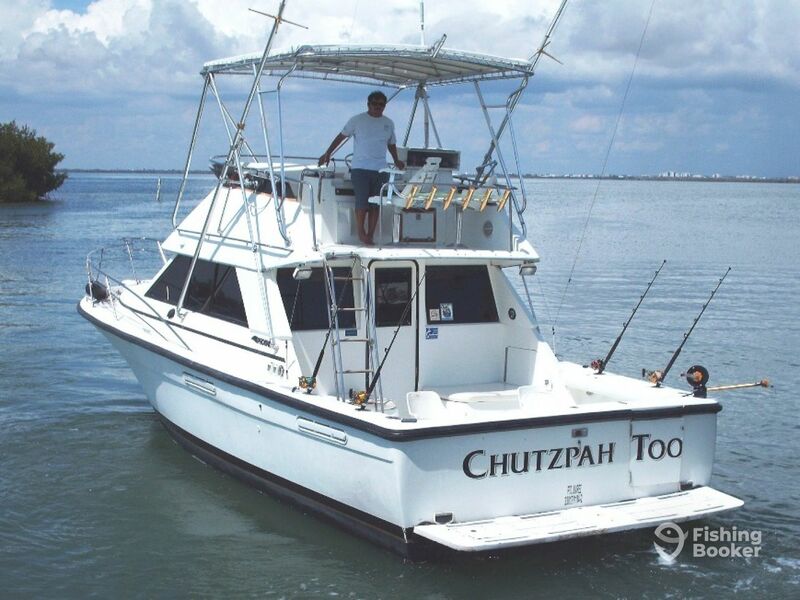 Either way, the Chutzpah Too crew will have more time and freedom to shift from one area to another to make sure you find a good fishing spot. 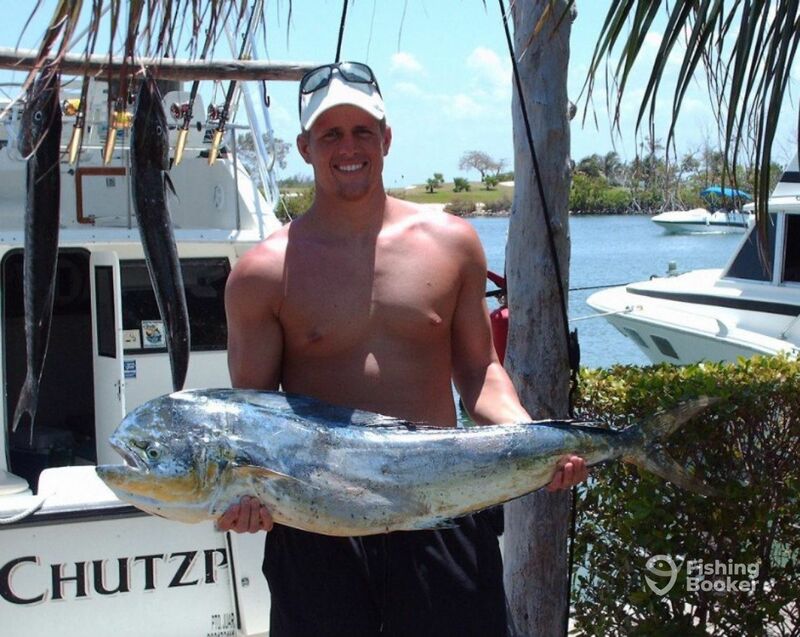 You'll double your chances of catching fish, because instead of effectively fishing for 2 hours, you'll be fishing for 4. 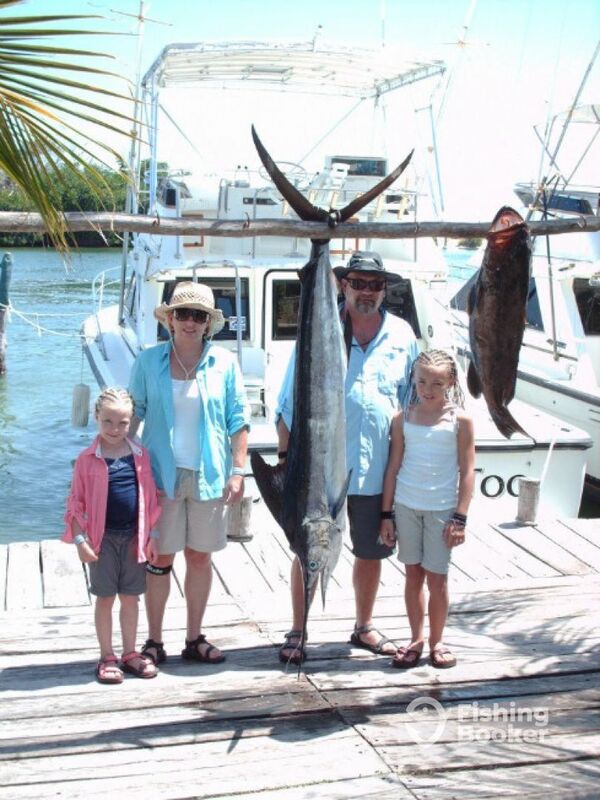 You can fish for Marlin (Blue and White) and Sailfish, Wahoo and Mahi Mahi - depending on the season. 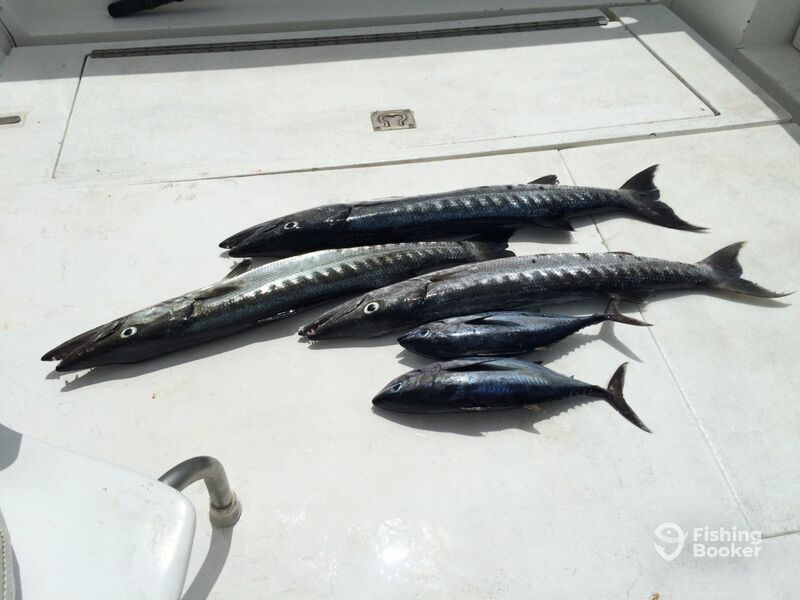 The crew also usually targets Barracuda, Blackfin Tuna, Red and Yellowtail Snapper, Triggerfish, Amberjacks, Groupers and Bonitos. It takes about an hour to reach the fishing grounds and about the same to get back, so this is the minimum recommended time for a Deep Sea fishing trip. 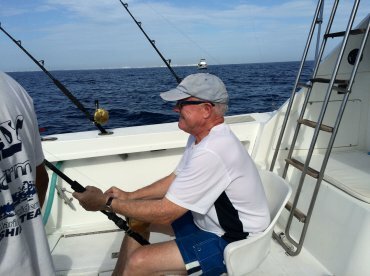 You'll fish for Dorado, Wahoo, Mackerel, Barracuda, Blackfin Tuna, Red and Yellowtail Snapper, Grouper, Triggerfish, Rainbow Runners, Bonitos and Amberjacks. 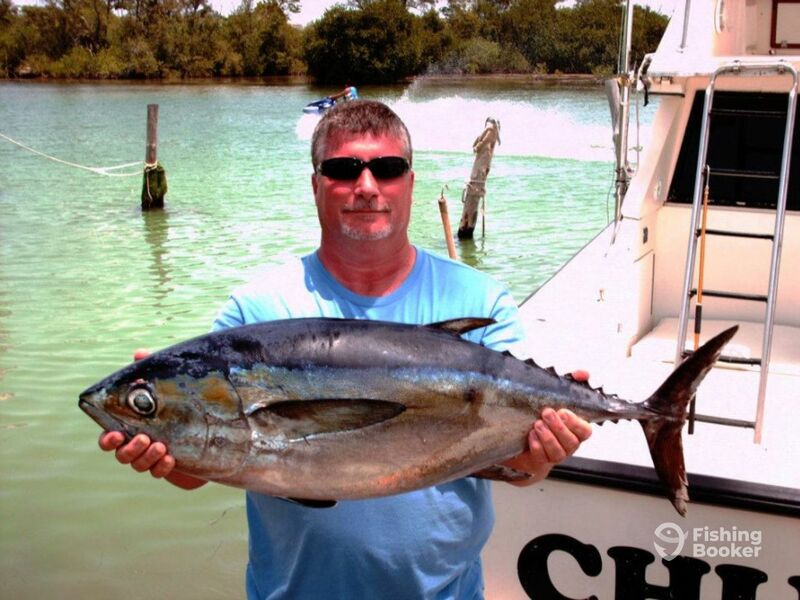 However, on this trip, there likely won't be enough time to go after Billfish. Phoenix () построена в 1990. 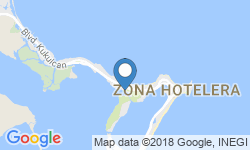 Мотор – 2 315 л.с. Cummins, максимальная крейсерная скорость – 13 узлов.